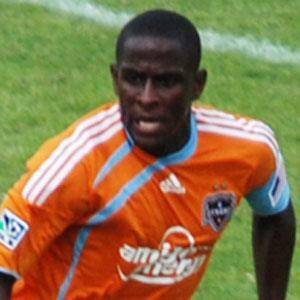 Jamaican defender who broke into the MLS with the Houston Dynamo in 2010. He spent a year with the Portland Timbers and Real Salt Lake before joining the Chicago Fire in 2014. He began his professional career with the Jamaican team Harbour View F.C. in 1999. He joined the Jamaican national team in 2005. His father Damian Palmer also played soccer professionally. He entered the MLS the same year as French star Thierry Henry.